Classic bow front 2 bedroom home overlooking the center of Union Park! 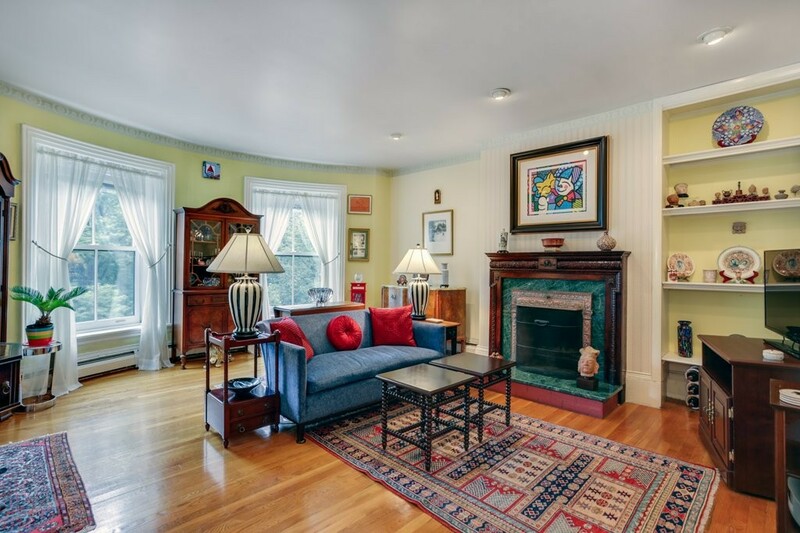 Entry hall leads to lovely living/dining room with fireplace and hardwood floors throughout. Kitchen features separate pantry, plenty of cabinet and counter space, pass-through and large window. Two bedrooms in the rear, one with custom built-ins and marble mantel and the other with exposed brick and access to wonderful private deck. Rarely available offering in one of the South End's most sought-after locations!